Airing during the Summer 2015 anime season, P.A Works teams up with writer Jun Maeda of Angel Beats and Clannad fame for Charlotte. Containing a variety elements from past works you can attribute to a bingo card like: sick children, death, and magical realism, it is a project that is by the numbers and more relies on execution to work out. With the execution being one of the more interesting hallmarks of the series holds onto, the results that arise from it turned to be equally as interesting…in both a good and bad sense. A misunderstood and ambitious undertaking or experimental flop of a production? Here is my two-cents worth on the matter. While on the surface Yuu Otosaka appears to be just another charming and intelligent teenager, he has a secret—he has the ability to slip into people’s minds and fully control their body for five seconds at a time. Yuu has been using this skill for years to gain the highest grades, which allowed him to enter a prestigious high school. When the enigmatic Nao Tomori catches Yuu using his power, she coerces him and his sister Ayumi into transferring to Hoshinoumi Academy, a school for students with supernatural abilities. The student council of the school, led by Nao, is tasked with secretly tracking down adolescents who abuse their powers. Yuu is forced to join the student council and together, they face formidable challenges that bring him closer to the shocking truth that his own, seemingly incomplete ability, might be more powerful than he could have ever imagined. For as much as anime fans bemoan established formulas and that being used as a yardstick to foretell the progression, I will say that it does give Charlotte a solid premise and the potential for it grow. 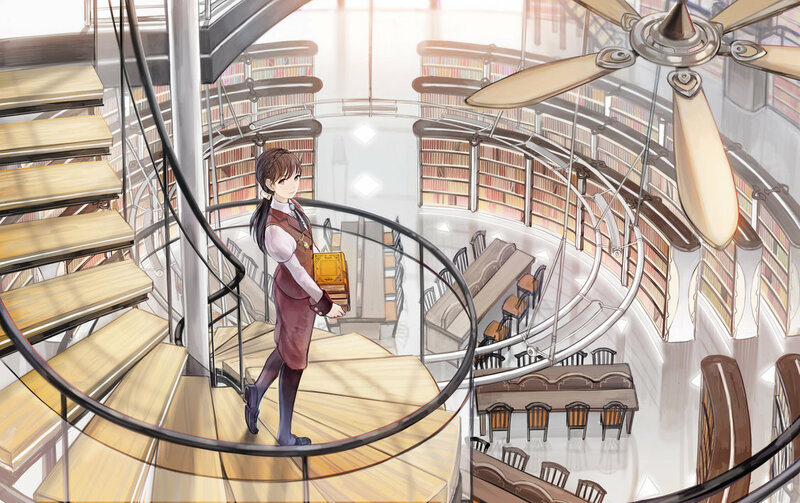 Essentially, the story centers around children with supernatural abilities and one in particular, Yuu Otosaka joining a group founded by Nao Tomori after a cornucopia of events to search out other ability holders and persuade them from using it or risk being captured and studied of science. As the series progresses, thematically speaking, it manages (or tries to) touch upon a few concepts imbued into the show such as adolescence, redemption, and fatalism among others – but to simply put it, they don’t exactly come together in a meaningful or succinct way. Being one of Maeda’s more ambitious projects and drawing from past endeavors, a major issue is the structure of the story: as most of the beginning episodes contain this “problem of the week” scenario, but sadly, all the episode devotees resources to by the time it collides into the second half of the series that is very different. You do get some foreshadowing (as seen in episode 4), but not exactly done with subtly in mind or any type of relevance. Of course, with all that being said, I am genuinely impressed the episodes do have something resembling consistent pacing, especially considering the number of directorial hands that any one slice can have. That being said, the only real problem that comes of having too many cooks in the kitchen so to speak is that Charlotte is really just inefficient with using the episodes to tell the story it wants to. In its defense, the earlier episodes provide a good outline for the type of writing and again, has nice ideas embedded, but at its heart, seems to regurgitate a bunch of ideas I seen before, do it in a less interesting way, and nothing to drive all of that forward. Where Charlotte is something of a disappointment in the narrative department if only in how it manages to squander both time and opportunities, the characters befall a similar fate. With Yuu being a relatively new archetypal design that has been given the pleasure to grace a work Maeda has had a hand in, it is very interesting to see how Yuu changes and grows over the course of the series as both a protagonist and possible model for other main characters in a KEY work. Again, while the attempt is half-hearted and slovenly done, I still do appreciate the effort despite falling short. Not too inclined to pour the same amount of praise on the other cast members, it is both understandable that there is some type of familiarity in their archetypes, but also a pity they lack any characterization similar to Yuu. Whether that be the innocent Yusa Nishimori or the dorky comic relief Jojiro Takajo – for semi-main leading roles (that humorously get very little screen time), they are nothing more than walking tropes. Nao Tomori, being the female lead, she does get treated a little better when it comes to characterization, but again…still a very by the books backstory and regrettably, lacking charm besides her appearance. As aforementioned, the characters really do seem to shine the best when it comes to the more light-hearted and affable side of the equation, yet with part of the show not as great as it could be, the humor does fall flat at times and with it, the characters do too as they unceremoniously beat to death their own jokes and one-note personality traits. Being a production that puts a lot of thought and work into the aesthetics, I can at least credit P.A Works for making this a very smooth and visually appealing title. Everything from the manifestation and usage of supernatural abilities to even physical humor does boast some amazing quality in terms of animation. And while I am far from being a fan of Na-Ga’s artwork and style, the character designs fit the animation unsurprisingly as well as look sound. Still not a fan of those buglike eyes looking into the depths of my soul (and possibly revealing the shallow human being I am), but I can tolerate it. Not being strong on the story content as I would like it, Madea is still a very masterfully music composer – using tracks that both express joyful moments and hitting those emotional crescendos when need be. One of my favorite pieces would have to come from the fictional band Zhiend (lyrics by Madea, vocals by Marina, and composed by Hikarishuyo) entitled “Fallin“, that I feel captures so many moments of that show perfectly. A very sorrowful, yet uplifting and beautiful melody. Still feeling like Maeda’s usual craft, but at the same time lacking, Charlotte definitely is a very polarizing work. While it might passable for the uninitiated eyes getting to know anime, for the seasoned viewer, this definitely feels like a rough draft of something good that wasn’t quite ready for prime time. Given the scrutiny most fans and viewers put this show through – unapologetic about comparing it to the likes of Angel Beats, it certainly isn’t unreasonable considering Maeda used it as a creative springboard, but still ridiculous for it to be as it is very much its own work. Either way, connections and comparisons aside, Charlotte is unfortunately another work that isn’t terrible – just extremely flawed, and never quite lived up to the potential it built for itself or the unreal expectations others built for it. Unless you are really willing to take on something from the drama genre (and not the people behind it), you could do so much worse, but also could do so much better. Pros: Cool concept, nice mix of drama and comedy. Cons: Some of the drama and comedy moments aren’t tied in well, later episodes have significant storyboarding issues. While I am a big fan of Key works, I do think that Jun Maeda is simply doing too much when he does not have enough episodes to work with. Sure, there are some things I find better, but at the end of the day, pacing seems to be a weak point especially with Episode 11, which is really bad. Maybe things will be different if he had 24 episodes to work with. Then again, I won’t be surprised if he ends up doing the same as he did with Angel Beats and create a visual novel or light novel to incorporate the full vision for the story that he couldn’t realize in the Anime. I suppose, but even with 24 episodes I can’t see it improving by much based on what it was. The entire script just needs to be more focused for 13 episodes. Although, I do think and agree he will probably go the LN or VN route in the future (if this one was unsatisfactory) and seems appropriate for project of this scope. I’ve read so many bad reviews of this anime but still kind of want to try it out for myself and might after I’ve gone through Little Busters. Your welcome to it and won’t dissuade you, but will say that you aren’t missing much.